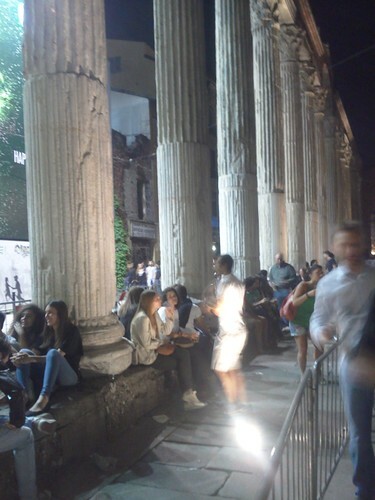 In the city center of Milan, a Roman colonnade encloses the churchyard of San Lorenzo, one of the most popular places for the local nightlife. People call it Colonne, which means “the columns”. It’s just a small square, but when the weather is fine hundreds of (mostly) young people go there. 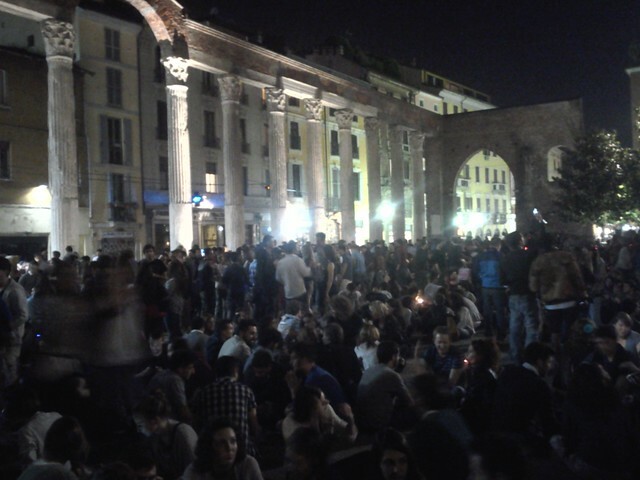 And there they remain for long hours — chatting, drinking, and simply sitting on the floor of the square. Nothing is special about this space. Other squares nearby are similar, but always empty at night. Why do people favor these columns? This is what the surrounding inhabitants ask, when they can’t sleep at night because of the noise. Municipal institutions have similar questions, since the columns and the churchyard are used as a bench despite the barriers protecting them. And other neighborhoods are curious too, given that most of the Milan nightlife is concentrated here while other areas remain deserted. The use of space in this area has been contested for years. The specific case of Colonne is the result of another conflict: Colonne became popular after the fencing-off of a nearby park. In 2000, local inhabitants asked for this park to be closed so that they could have a more safe and quiet area. Now, early curfews, a police presence, and mobile barriers have been introduced to make the square less attractive. Nevertheless, people don’t move from there. They keep coming to Colonne every night. • Read the story of a healing spa that heals no one in Bosnia, yesterday’s contested space.